Governor Patrick Quinn has signed Public Act 98-519, an amendment to the Illinois Vehicle Code which will increase the minimum limits of insurance coverage available to victims of bicycle crashes caused by motorists. 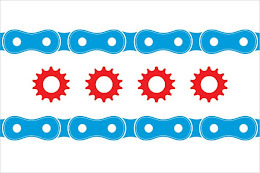 Illinois Bicycle Lawyer Mike Keating is a member of the Illinois Trial Lawyer's Legislative Committee that pushed this change in the law in Springfield. The new law, which will take effect on January 1, 2005, raises the minimum motor vehicle liability insurance required by Illinois to $25,000.00 for injury or death to one person, up from the current $20,000.00. The current minimum in Illinois of $20,000.00 is the lowest of any state in the Midwest. The new law will also increase the minimum mandatory coverage for bodily injury or death to more than one person from $40,000.00 to $50,0000.00. Further, minimum coverage for damage to property will increase from the current $15,000.00 to $20,000.00. This new law is a necessary step in the right direction for Illinois, whose current minimum coverage requirements rank among the lowest in the United States. Despite the rapid increase of the cost of health care over the last 20 years, Illinois has failed to increase the minimum liability insurance required for Illinois motorists. As a result, victims of bicycle crashes often incur medical bills that far exceed the amount of liability insurance covering the motor vehicle that caused the bicycle crash. When this occurs, the bicycle crash victims may become personally liable for out-of-pocket medical costs even though the bicyclist was completely free of fault. Bicyclists are entitled to the same protections under the law as any other user of the roadways. If your rights as a bicyclists have been violated and have resulted in an injury from a bike accident, or you have any questions about this blog entry, please contact Mike Keating of Keating Law Offices for a FREE consultation at mkeating@keatinglegal.com or (312) 239-6787. The Illinois Bicycle Lawyers at Keating Law Offices have helped the Chicago bicycle community by being an advocate for bicyclist's rights and representing bicyclists who were injured in a bicycle accident or crash in civil cases. The trial lawyers at Keating Law Offices have emerged as national leaders in the field of bicycle-related litigation. Attorney Michael Keating, founder of Keating Law Offices, has been recognized by SuperLawyers and Chicago magazines and the National Trial Lawyers Association as one of the leading trial lawyers in all of Illinois.